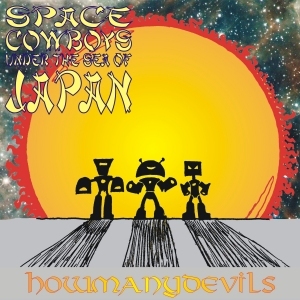 This entry was posted in Space Cowboys Under The Sea Of Japan and tagged Album, art rock, electronic, HMD, HowManyDevils, Music, Prog, prog rock, SCUTSOJ, Sheffield, Space Cowboys Under The Sea Of Japan, Village of Dolls. Bookmark the permalink. I played distorto-fretless-feedback-bass on Village of Dolls, so there’s definitely more than one bass on it. When I was arranging it the idea I had in mind was that the various instruments were the population of the village, so it starts big and full but ends empty. Last album we were a garage rock band, this time it’s conceptual art rock!